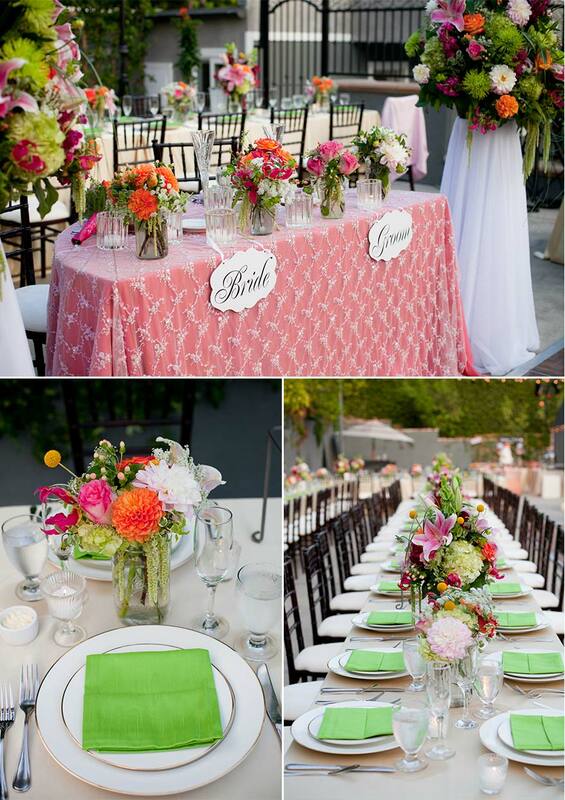 When you think of elegance and sophistication, a backyard wedding is probably not the first thing that comes to mind. Taking a look at Lauren Fortelny and Nick Del Francia’s incredible backyard wedding, however, may just change that for good. 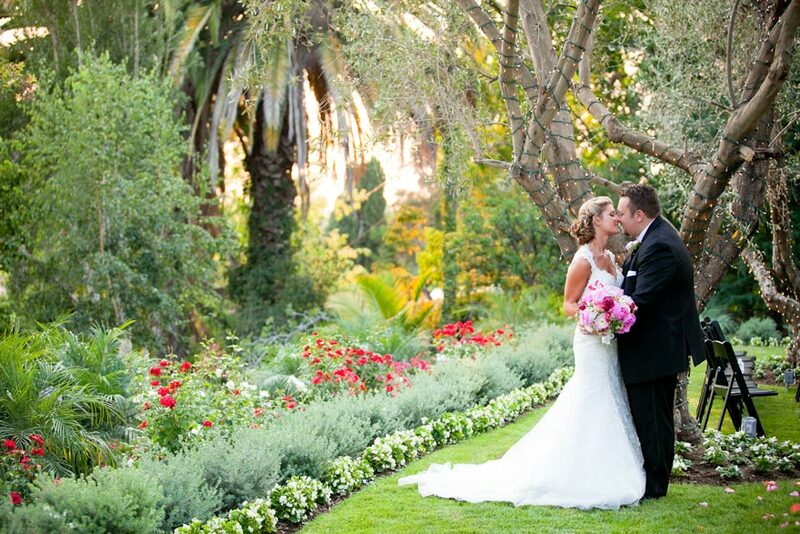 The couple decided to marry in the summer at Nick’s family home in Santa Ana. The property is absolutely gorgeous, with olive trees and wild flowers growing in abundance around the three tiers of the house. 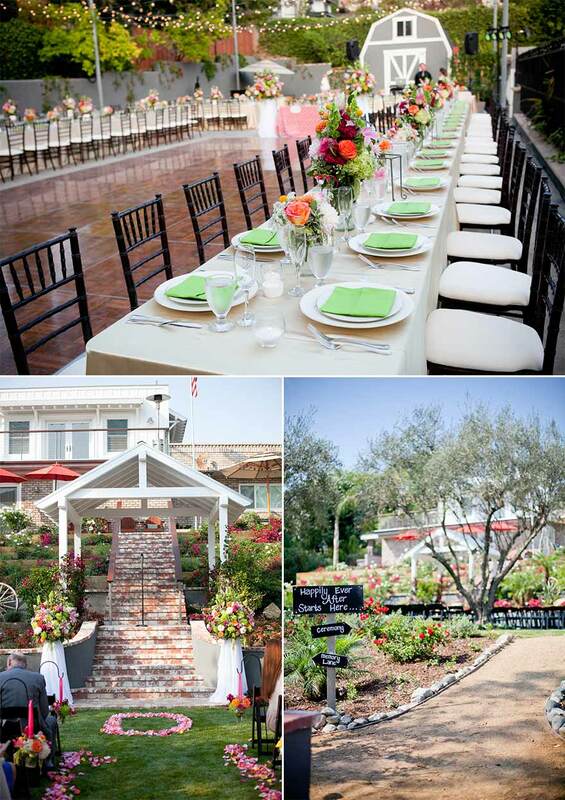 Jay’s was thrilled to cater the Del Francia wedding, which was expertly coordinated by one of our veteran Event Specialists, Chris Kuhles. Mr. and Mrs. Del Francia accommodated 230 people for their ceremony on the property’s garden level, opted for hors d’oevres around the pool on the second floor, and finished the evening with dinner and dancing on the third tier. While the wedding didn’t have one solid theme or color scheme, bright orange and fuchsia tones blended with like colors to create an eclectic feeling that remained cohesive. 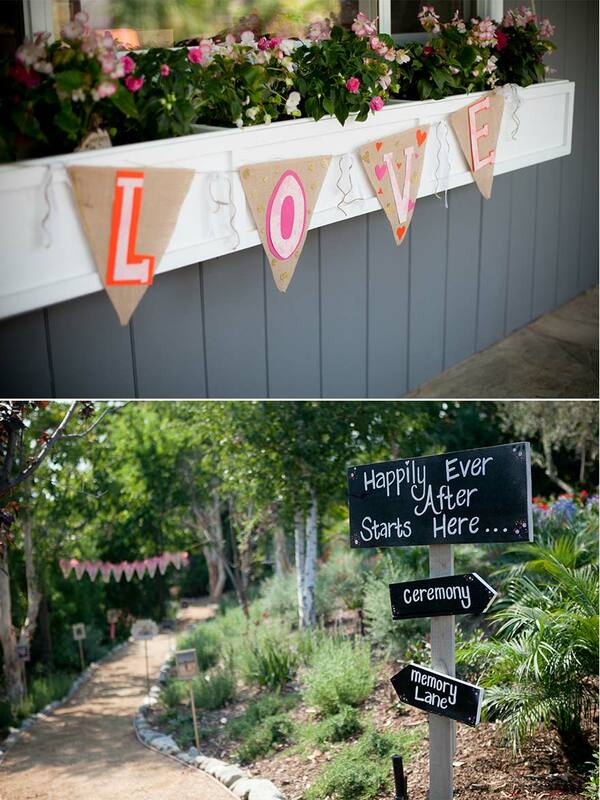 One of the things that really made this special day sing was all of the bride and groom’s personal DIY touches. Both Nick and Lauren’s families brought their own contributions to the wedding. Lauren’s grandmother made Italian wedding cookies, while Lauren and her bridesmaids made boxes to put them in for guests. From the banner reading “LOVE" to the Del Francia signage welcoming you to “Memory Lane”, it was clear that the two families came together—not just figuratively through the couple’s marriage—but literally, to make the occasion sincere and meaningful to them. The creativity that went into planning this wedding came through in every detail—from the flower petal stationary tailored for the couple by Sugar Press to the impactful lighting designed by G2 Audio and Lighting. The cuisine we provided was no exception. 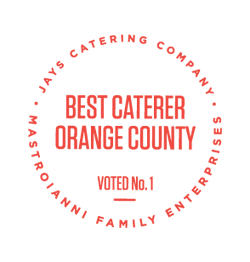 We began by metamorphosing the Del Francia garage into a kitchen to prepare the evening’s menu fresh and from scratch, while still serving it piping hot. The newlyweds decided on tray-passed hors d’oevres of: Mini Filet & Wild Mushroom Wellingtons served with Bearnaise sauce, Crab Cakes served with a Mango Papaya salsa, and Caprese Skewers with Pesto & Basil-Drizzled with Aged Balsamic & Olive Oil. For their plated dinner, Mr. and Mrs. Del Francia had a family style first course of Caesar Salad with Herb-Crusted Croutons & Parmesan Cheese Curls on Romaine Lettuce. Their second course featured vegan options for the bride with Vegan Brown Rice and Vegan Steamed Julienne Vegetables. The rest of the guests dined on mouthwatering Santorini Chicken, Tuscan Rotelli Pasta ala Checca, and Italian-style Haricot Verte. Just to make sure that everyone left full and happy, we served our fantastic Angus Beef Sliders with Oven French Fries later in the evening! There was an impressive selection of libations from the beginning of cocktail hour to the very end of the night, as well. 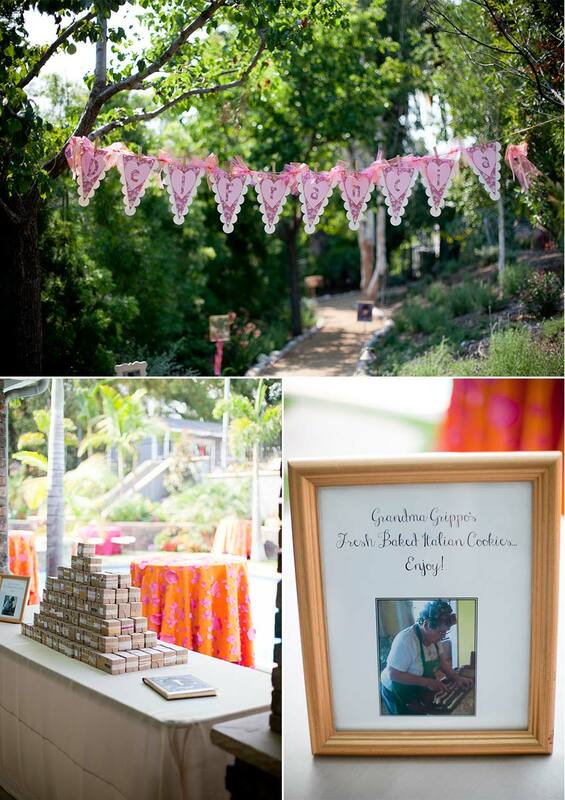 We brought in an open soft bar, set up an Ice Tea and Coffee Station, and provided a Champagne & Cider Toast. 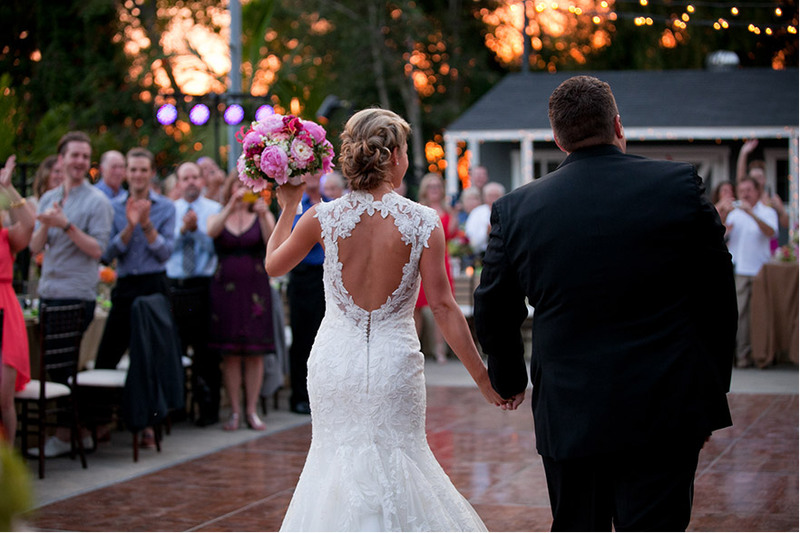 This wedding was truly an event to remember and we were so honored to have been a part of it! 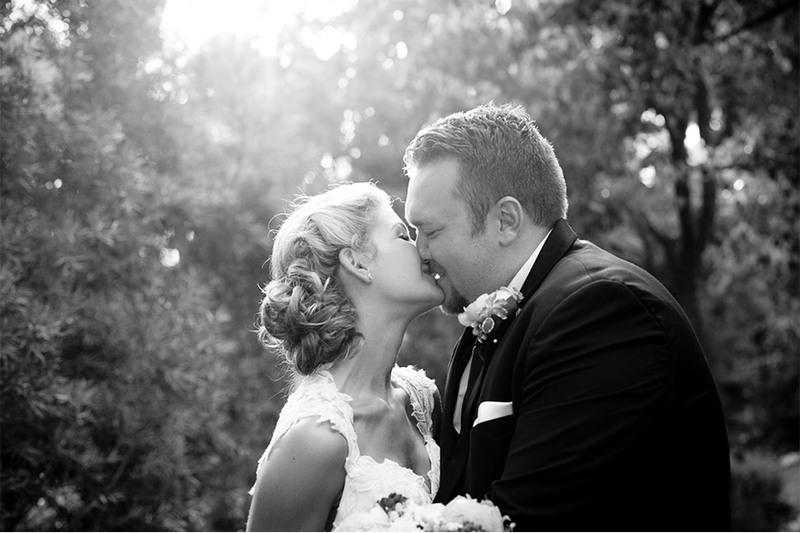 We were dazzled with the rusticity of the Del Francia’s backyard wedding, which they made so personal and sophisticated. 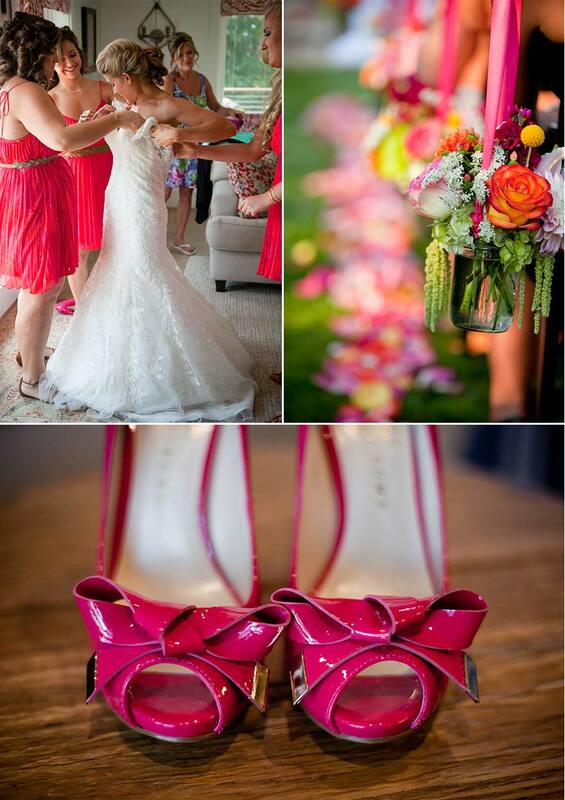 A special thank you to Kristin Brown Photography for sharing her candidly captured, gorgeous images with us!